Through collaboration and partnerships with community resources, students and families will develop social, emotional, physical, and academic talents, empowering them to lead impactful and purposeful lives. Welcome to the website of O. C. Johnson Elementary School, the proud home of the Jaguars. We believe that good communication between school and home is essential to our students (your child’s) success. Please look for our monthly newsletter, Jaguar News, at the beginning of each month. This will outline monthly events and news at OCJ. Working together, we can provide many opportunities for each child to achieve successful academic and social growth. We hope parents will want to visit our school often and volunteer their time and talents, which tell our students that they and their education are important. Please remember that we are a uniform school. If you have any questions regarding the uniform policy, please visit the front office. Also, please remember that in order to keep students safe, we ask that only employees and visitors with appointments use the parking lot. Please make sure to pick up and drop off your student in the designated area. Again, if you have any questions regarding our policies, please see the front office. Our website will provide a list of our talented and dedicated staff, a school calendar of events, and a news page to highlight the great things going on at O. C. Johnson. We hope you will check out our page of frequently asked questions and, of course, if you need anything that you haven’t been able to find on our website, you are welcome to contact us directly. 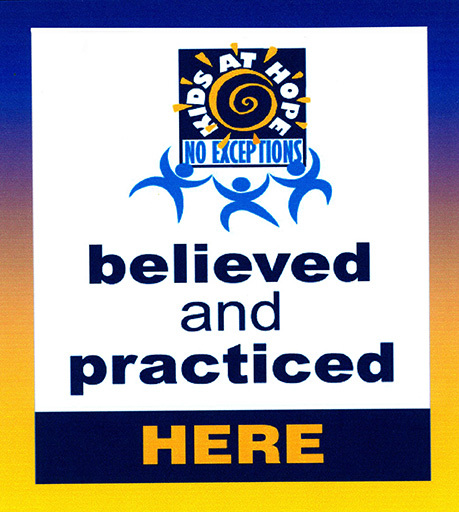 OCJ is now a Kids at Hope school...yay! This means that we connect, we believe, and we time travel. We will ensure that students have ACES (caring adults), and know that we believe that they are all capable of success. We will help them dream of a successful future and make plans to reach those dreams. At O.C. Johnson, we will ensure that our students become productive citizens who succeed in life no matter what path they choose. We understand that the best way for us to support our students is to support our families and community members as well. For this reason, we have become Yuma’s first true community school. We have developed many partnerships with organizations around Yuma County that will help bring resources to our school to benefit all members of our school community. This is an exciting time to be a Jaguar, and we look forward to creating more partnerships to further enhance our school. As the principal of O.C. Johnson, I look forward to working with all members of the school community to provide the best environment for all students. We understand the importance of academic achievement but also know that elementary school is a crucial time where students build social and emotional skills. We will focus our instruction on AZCCRS and will continue with our Jaguar Pride program to promote respect and responsibility school wide. Our Facebook page is a wonderful place to stay updated on what is happening on campus. Please also look for our monthly calendar and our Jaguar News to stay informed. Jaguar Pride is running rampant, and we are so excited for all that is to come this year. Go Jaguars! Our school is applying for a 21st Century grant. What does this mean for your student and your family?